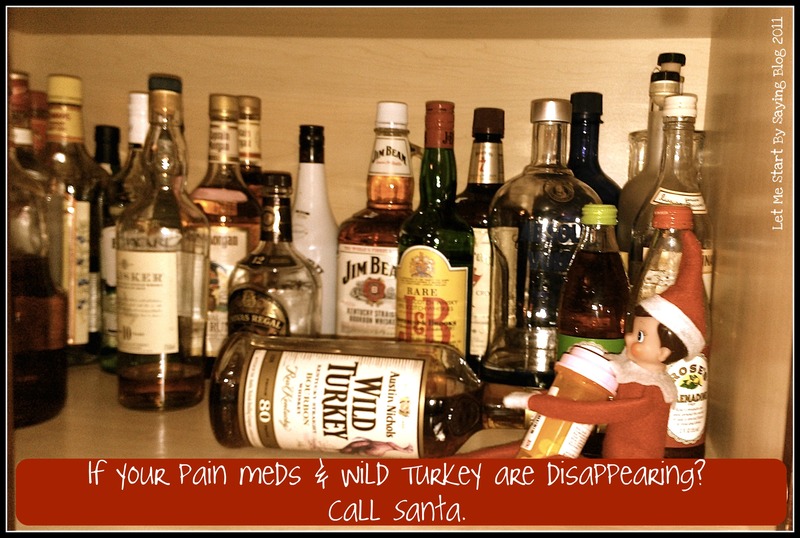 The Elf on the Shelf is a fun family tradition this time of year. 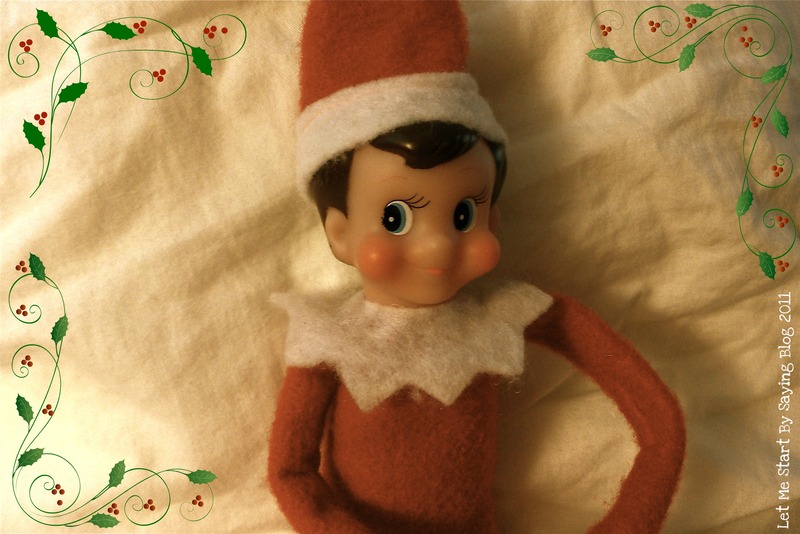 I have recently discovered people sharing photos of cute antics their elves have been up to on Pinterest and beyond, such as Elf on a Shelf Snow Angels in sugar or flour, leaving trails of glitter, and other messy fun discoveries. Well, it seems I do not have that kind of Elf on a Shelf. Looks like sweet & charming Family Fun, doesn’t he? DON’T BE FOOLED. Quite frankly, after what happened when our princess & stuffed animal tea party went very, very wrong, are you even surprised? Our family’s Elf on a Shelf appeared the morning after we got home from our Thanksgiving Travels. A mere 2 days later, I had surgery, and he seemed to decide to show up morning after morning in the same exact spot in the kitchen for the kids to find him. I thought he was being considerate, making this easier on me as I healed. 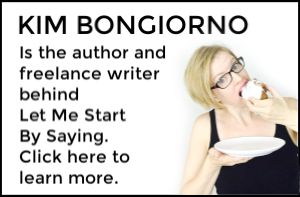 But alas, I am on the mend and starting to notice things were getting a little…wierd around here. 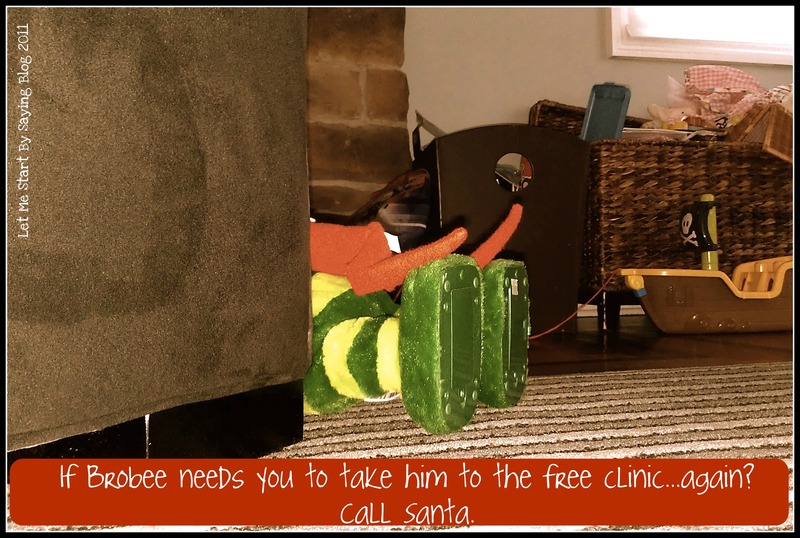 So, for your guidance, here are some surveillance photos I took of my own Elf on the Shelf Gone Wild. 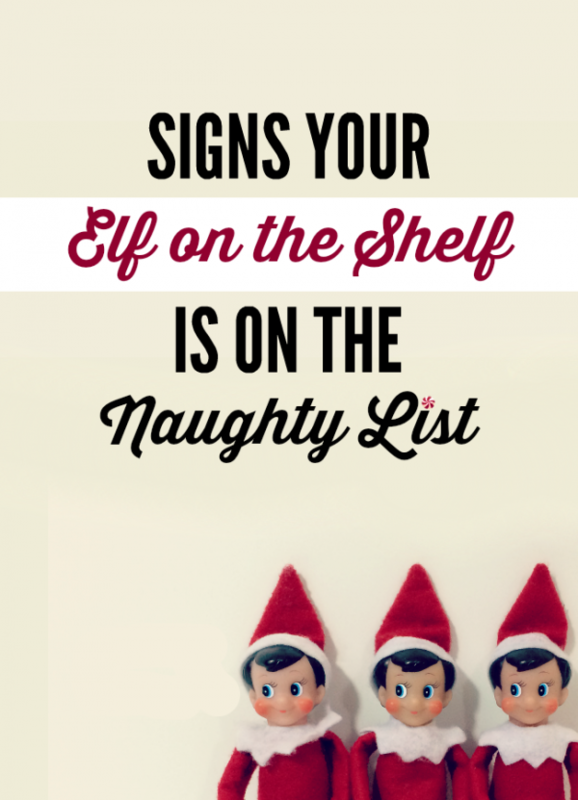 Please refer to the following list to see if your own Elf deserves to be on the Naughty List. If so? Santa will absolutely send in a replacement. He just has a lot going on right now, so if a rogue Elf has slipped through the cracks, please let him know right away. I do hope this list is applicable to only a few of you, and that in the end? You all have a fun and adventurous holiday season. Without any pill-popping whorish elves wreaking havoc on your home as you sleep. How to Buy a Christmas Tree (in 109 easy steps). The Ornaments We All Have on the Tree, whether we wanted them or not. A Holiday Song for Moms is a remake of a classic. What to Expect When Photographing Your Kids for the Holiday Card no matter how much you prepared for that moment. 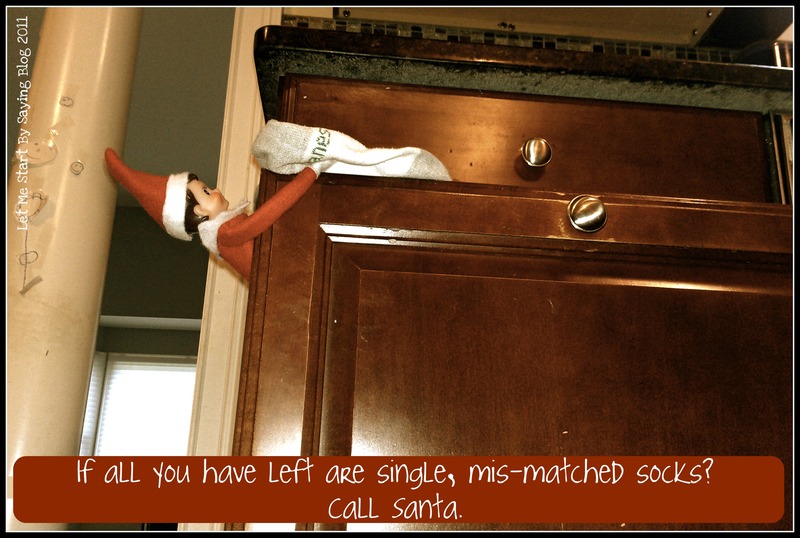 106 Elf on the Shelf Ideas on my holiday humor site, ElfShaming. 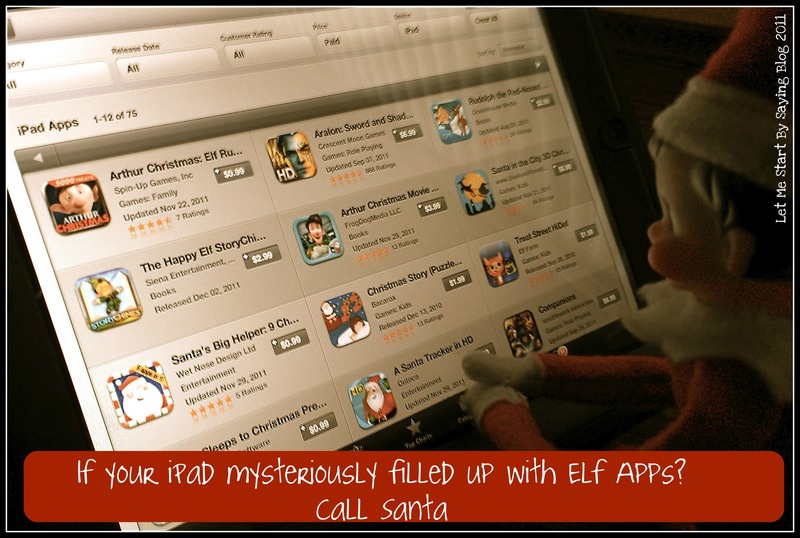 Thank you to The Bearded Iris & her crazy Elf Dobbie for the encouragement to catch my own elf’s antics! I have no elf. Probably a good thing. I always suspected that elves were not entirely trustworthy. NOW I know where the Irish Cream disappears to every Christmas season. And that sticky stuff on the floor in the kitchen? Ooooo…I shudder to think what that might really be. Back in the attic for my elf! Back into the box, into a cellophane wrap, lock the attic door. I feel like Nutcrackers are not to trusted as well. The Nutcrackers seem a bit more dangerous, and I fear to know their antics…. We have two elves. A boy elf and a girl elf. I keep finding them together behind couches, under chairs, beneath blankets. And now I’m waiting for a third elf to present itself. Elves are dirty, dirty little critters. “that in the end” *Snicker*.